Playtime gives children more than the opportunity to use their imaginations and learn. It also reduces a child’s pain after a surgical procedure, according to recent research. 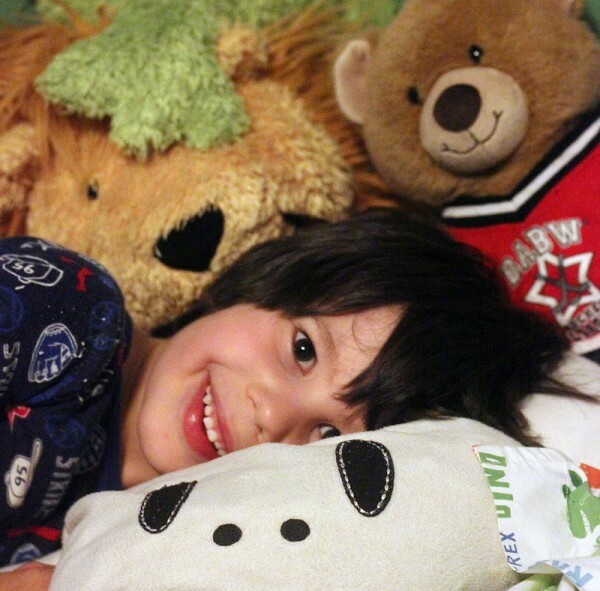 The study, published in Pain Management Nursing, found that children who played with a stuffed animal and their parents after surgery reported feeling less pain. Led by Ana Ullan, PhD, of the University of Salamanca, the study involved 95 children between the ages of 1 and 7 who underwent surgery at the University Hospital of Salamanca between May and September 2011. The children’s pain levels were measured using a standard pain scale immediately after surgery, an hour after surgery, and two hours after that. At all three measurements, the children in the play group had lower pain scores than the control group — where nothing was done to them beyond post-surgical care — by an average of one point on a six-point scale. However, Peterson believes stuffed animals or distraction methods are not the only components to reducing a child’s pain. She’s found through her work at Akron Children’s that play promoted in a therapeutic manner, or guided medical play, can help reduce pain and help children cope with their experiences. “It’s passing the time to give the pain medication time to work and diverting them from just concentrating on the pain they may be experiencing,” she said. Peterson offers kids different methods on how they can cope with pain, such as focusing on a “magic wand” when taking medication to visualizing themselves outside the hospital and on a playground.